The Grateful Dead and Phish audience will be unified by sincere and devoted love to real music! This July the first are celebrating their 50th birthday –band will give three performances at Chicago’s Soldier Field marked in the history as their 'last concert' as a band. Trey Anastasio was asked to join a remaining lineup and take the place of Jerry Garcia. You’ll have a chance to hear eternal classics and witness a musical experiment. Now or never: buy Grateful Dead and Trey Anastasio GuruTickets and get to know how great musicians make great music together. 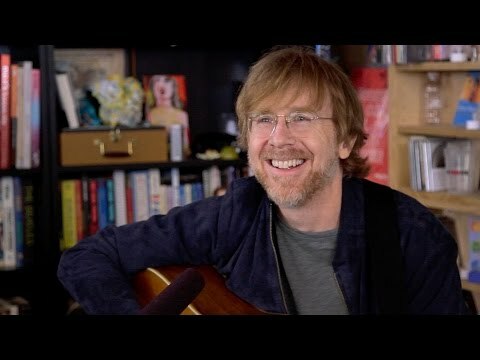 Buy Trey Anastasio tickets to see the groovy man behind Phish perform solo material live in concert! During July 4th weekend, Trey will be performing a series of epic concerts with the remaining members of the Grateful Dead to celebrate their 50th anniversary and their final performance as a band. Join Trey and the Dead for this trio of “Fare Thee Well” concerts in Chicago, and see why only Trey could play in place of the iconic Jerry Garcia. Fans of both Phish and the Grateful Dead are pleased to hear that Trey Anastasio will be joining the remaining members of the Dead for three special shows at Chicago’s Soldier Field this July. Celebrating the Grateful Dead’s 50th anniversary and their final performance together as a band, Trey will take over for the late Jerry Garcia to sing classics like “Truckin,” “Ripple,” and “Brokedown Palace” for a stadium full of Deadheads. Don’t miss this rare opportunity to see Trey play with some of America’s most talented and beloved musicians; buy your Grateful Dead with Trey Anastasio tickets today before they’re all gone! Trey Anastasio is best known as the lead singer and guitarist for the popular jam band, Phish. He’s had a successful solo career outside of Phish as well, having produced 11 solo albums and performed with such notable acts as the New York Philharmonic and the Colorado Symphony. Anastasio was nominated for a 2013 Best Score Tony Award for the Broadway musical, Hands on a Hardbody. He’s composed over 150 Phish songs and continues to create music that spans genres, including rock, bluegrass, jazz, blues, and funk. He prides himself on being a sober musician, and is planning to release his latest solo album, Paper Wheels, later this year.